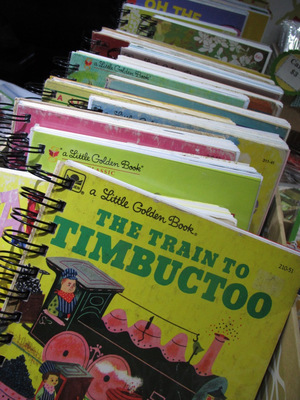 I'm an inner-city rambler who's happy to share my best finds with you. Subscribe to my articles to read interesting things and possibly win excellent stuff. With a philosophy of 'all local, all handmade', the BrisStyle Indie Markets have restored my faith in Brisbane's market scene. I gave up going to markets years ago, tired of sifting my way through mass-produced junk and imported knock-offs in the hope of finding something that appealed to my taste and conscience. But then a sweet little notice for the BrisStyle Indie Markets appeared in the lunchroom at my workplace. 'Support your local community and independent emerging artists', it said. A twilight market was coming up in King George Square last Friday night, so I decided to take a look. The sun was setting as I wandered into the square, which held lots of stalls draped in twinkling lights. The breeze was gentle, the mood was mellow, and it was a lovely place to be. 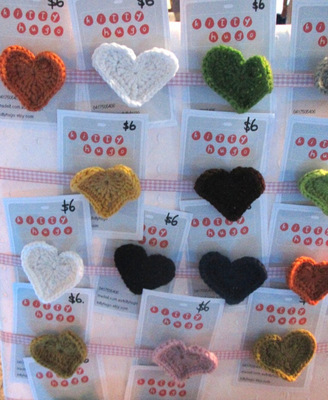 First stop for me was Kitty Hugo Textile Jewellery, where I fell in love with the crocheted heart brooches for just $6 -- and with many of the other cute, handcrafted items. A quick chat with stallholder Kerry revealed that BrisStyle is the only market she sells at, and that much of her jewellery uses recycled materials. I badly wanted to buy a heart, but I was there not to shop, but to report, so I moved on...only to be tempted again! This time at the Good Boy Cracky stall, which sells quirky jewellery and accessories crafted from recycled materials and wool-blend felt. And I found yet more beautiful jewellery at the Strat Designs stall, where designer Sophie explained to me the ins and outs of creating her colourful resin pieces. I could have looked at more jewellery, but was keen to see something different -- so I headed over to Spun Mud, which sells pottery by ceramic artist Bec Lindemann. 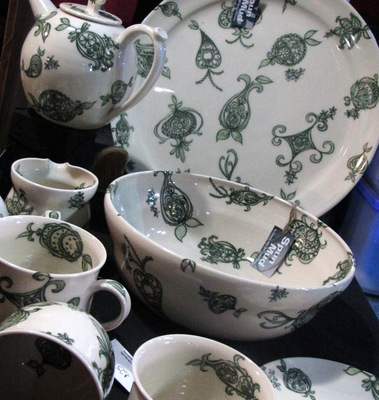 If you're thinking craft-market equals heavy, clunky earthenware, think again. Bec's pieces were light and beautiful, practical for table use, and great value for the price. I've already decided to buy some as Christmas gifts. Likewise, handmade glassware by Simone McCluskie was original and gorgeous. 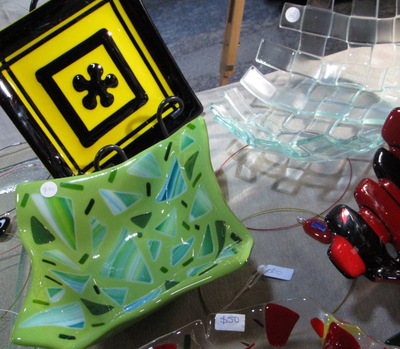 Pieces cost a fraction of the price you would pay for similar items in a gallery or department store. I visited many other stalls, browsing through handmade cards, bags, hats, cushions, clothes and more. 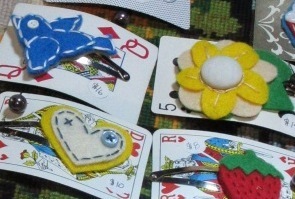 Fortuitously, I got chatting with Belinda Harris at her Liddle Apples stall, which sells handmade toys and homewares. It turned out that Belinda is also the BrisStyle Promotions Coordinator -- and was proud to tell me how the market had grown from just two events in 2008 to six market dates this year. 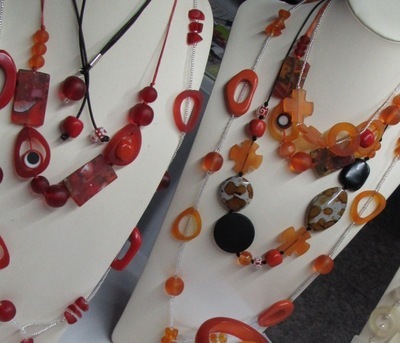 Even more are scheduled for 2012, and over 150 artists, crafters and designers have now joined the BrisStyle association. I left the market empty-handed, having stuck to my decision to stay in reporter mode. But I'm determined to go back as a shopper next time it's on. Luckily for me (and you), that isn't too far away. The BrisStyle Eco Market will run at St Augustine's Church in Hamilton on Saturday 12 November, and the BrisStyle Designers Market will run at the same venue on Saturday 10 December. 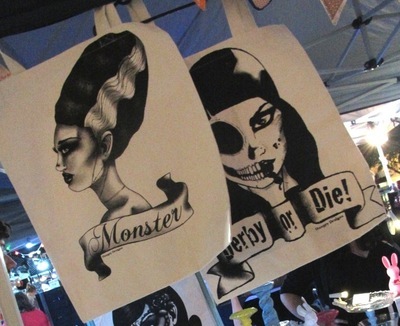 The final twilight market for the year will be in King George Square on Friday 16 December. That's three great chances to see exciting originals by local creative types -- and to have your faith in markets restored. P.S. If you can't make it to the markets, many of the stallholders also sell on etsy.com. Visit the BrisStyle website for more details.